Moving house is one of the most stressful days in anyone’s life. On average people move six times over the course of their lives — that adds up to nearly a week which most people would rather forget. This is a guide to making moving house as stress-free as possible. One of the biggest headaches for people moving house is which items to keep and which items to throw away. The solution here is to hire some large skip bins and be very selective. If grandma’s old furniture has been gathering dust in the attic for the last 15 years, then it probably means that the same will happen at the new house. The same goes for old kid’s toys which don’t get played with anymore, and old electrical equipment which has no hope of coming back to life. If the thought of throwing certain items away is too much to bear, why not sell them or take them to the nearest charity shop so they can find a new home? Making sure that everything arrives in one piece at the new house is important. Research different companies and read their reviews online. Don’t just go with the cheapest company — this can be a sign that they don’t take pride in their work and may be careless with precious items. Moving house requires a lot of paperwork to be filled out, transferred or kept for posterity. To make sure that nothing gets lost, put everything into one folder. This also means that important documents are kept close at hand and can be produced when needed. Also, it is a good idea to make extra copies of these documents in case the originals get damaged or become lost. Draw up a checklist of all the items which will be moved. This will help people quickly identify if anything is lost or damaged once the move has been completed. Any disputes with the moving companies over damages will be resolved quicker if all items are kept track of. Moving appliances which have hazardous or combustible chemicals can reduce the risk of any accidents. The chances of anything catching fire or leaking during transit are slim, but it is always better to be safe than sorry. One of the most stressful things about moving can be deciding where all the furniture should go in the new house. Draw up a floor plan so that the furniture can be quickly put in place without any arguments or hassle. This will save time and give people a chance to relax. 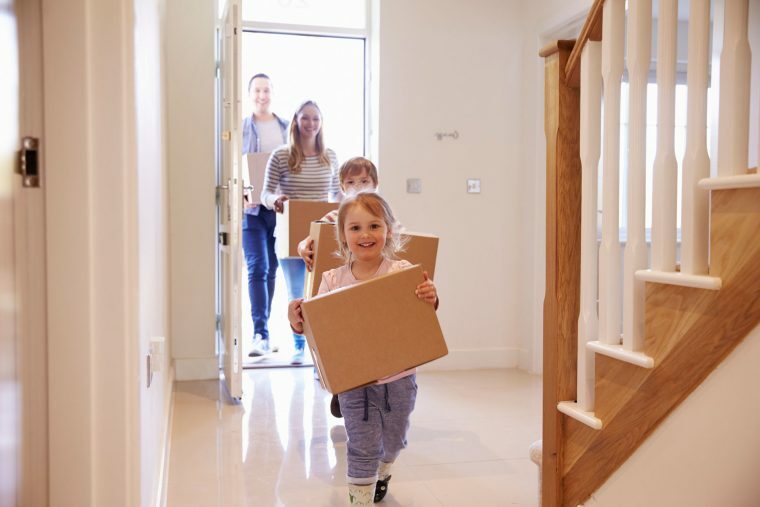 Moving house doesn’t have to be a nightmare full of inconvenience and problems. Follow this simple guide and moving day will hopefully be a dream come true!